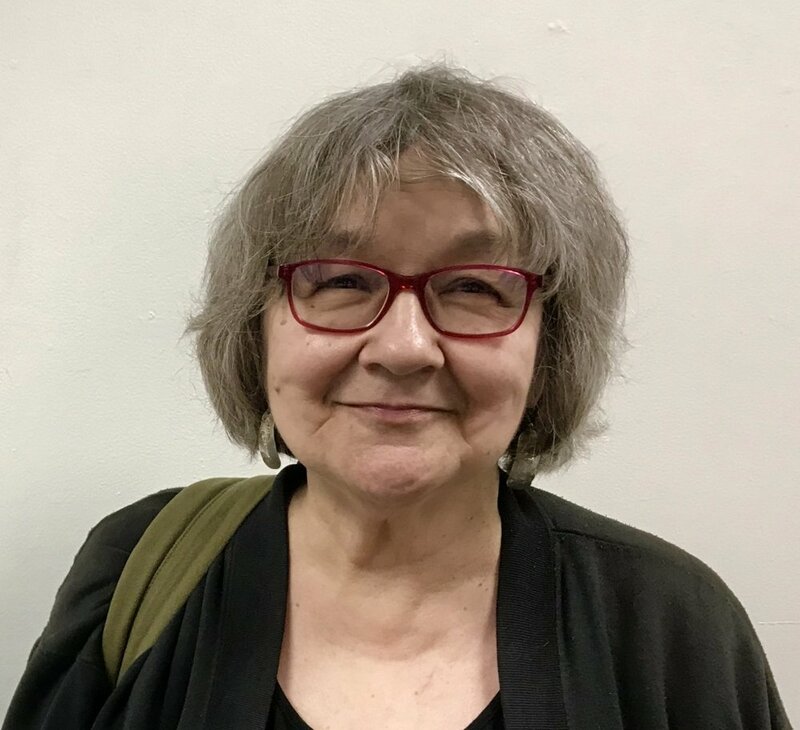 Ernestine Hayes at the Juneau Arts and Culture Center, March 2018. Ernestine Hayes was born in Juneau in 1945 and grew up in the Old Indian Village downtown. A member of the Wolf House of the Kaagwaantaan, she is the author of Blonde Indian and The Tao of Raven, an Alaska Native Memoir. Ernestine is an associate professor of English at the University of Alaska Southeast and the 2016-18 Alaska State Writer Laureate. She is a cast member in the live performance of Aan Yátx'u Sáani: Noble People of the Land. "I believe that it is part of my life to be on the margins and on the edge of things. And so I was not only on the edge of the white society, I was also on the edge of the Native [society]... Two hundred years ago I'd be the one living away from the village in the forest, that's who I would be... I'm my mother's daughter after all."